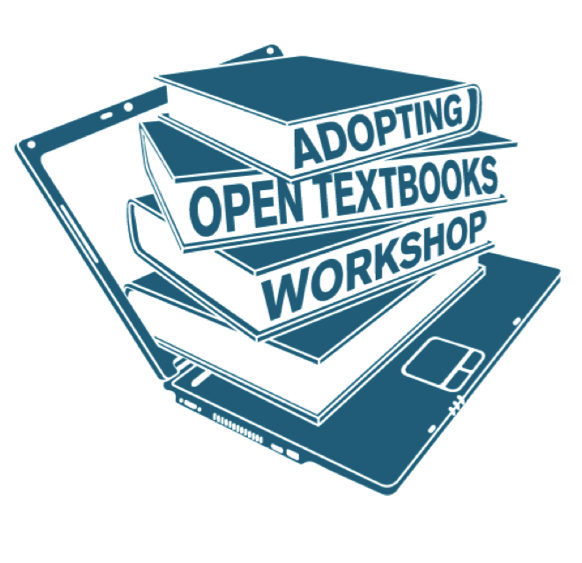 On May 27th I attended a workshop organized by BC Campus titled Adopting Open Textbooks held at Camosun College in Victoria. BC Campus has been running a series of these workshops starting off at Thompson Rivers University, University of Northern British Columbia, Simon Fraser University, Kwantlen Polytechnic and now Camosun College. The event was predominately attended by instructors from Camosun, but there was representation from the University of Victoria, The Ministry of Education and Vancouver Island University. With support from the government of British Columbia, BC Campus has been tasked with coordinating the creation of 40 electronic textbooks that can be used for the highest impact first and second year courses in the provinces’ public post secondary system. The textbooks will be made available free to students in electronic form and in print for a nominal fee to cover the cost of printing. The electronic texts will be made available under Creative Commons licenses that should allow the adaptation and remixing of the textbooks as an instructor requires for their course. This means an instructor can take parts of the book, the book in whole, or just specific media elements form the text for use in their course. I was delighted to hear that BC Campus has begun the process of creating the open textbooks by scanning the environment for open textbooks already released. There are a number of open textbook projects around the world including in the United States: Washington; Ohio; and Texas and a fairly well established open textbook project for high schools in South Africa. I am happy to hear that BC Campus is looking to these initiatives to see what has been created already and what can be reused in the context of BC. 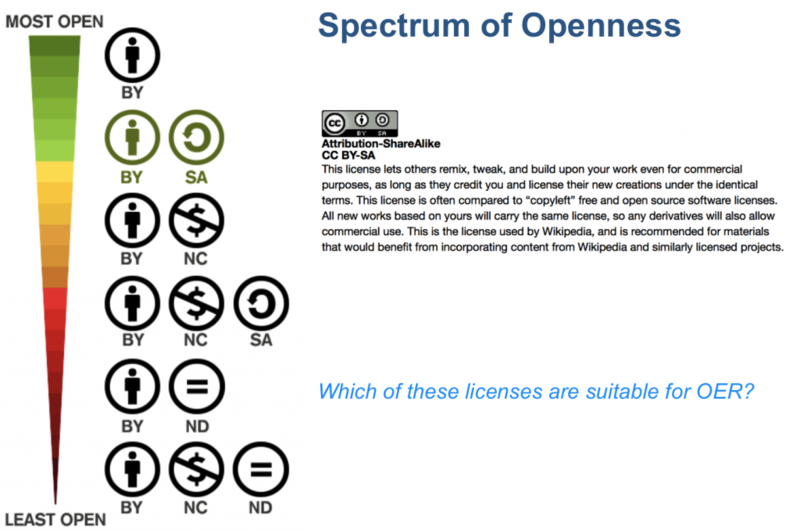 Creative Commons licenses come in six different versions, each with there own stipulations around what can be done with the material. This adds complexity to the open textbook project as when sourcing existing texts, we may find that they carry a variety of different licenses. Clint Lalonde gave a great overview of the rules around mixing different licenses together and how some licenses are more restrictive then others. As some of the texts for the project will be sourced from existing initiatives we will likely find that the BC Campus open textbook library will contain texts with a variety of different licenses. Thus the books may not be licensed with a blanket license for all texts and we may find that some texts will thus be more reusable then others as defined by the license; for instance if a text contains the no derivatives clause we may not be able to adapt it for our needs. I am hoping that the selected textbooks will be licensed at the more open end of the spectrum allowing for broad reuse. Another important question is whether we will be able to make the open textbooks or parts thereof available in password protected learning management systems (LMS). These environments are closed and limited to students studying at the institution, which conflicts with some aspects of Creative Commons, notably the share alike and perhaps even the non-commercial clause. While I am all for openness, I do value the affordance of the LMS to create private spaces for course groups to congregate. There is also value for a student to be able to login to an LMS, see the courses they are associated with and quickly gain access to the requisite resources. Since so many institutions rely on these systems to deliver content it will be interesting to see how we can use the texts within the LMS. It was not clear yet where and how the textbooks will be hosted and in what format they will be offered. Ideally the texts will be offered in a variety of formats so that the student or instructor can select whichever format suits their device or specific need. Furthermore some formats are more editable then others; for example a PDF file is not very editable or adaptable where as a text document would be highly editable/adaptable. On the other hand some formats retain layout and structure better than others, and this is where a PDF excels. BC Campus seems dedicated to providing the texts in a number of formats which will allow for flexible access to the open textbooks. The software package Calibre was mentioned as a potential tool for managing and converting ebooks to various formats. The texts will also be available for print on demand for students who prefer to own a copy of the printed text. There has been research to suggest that students sill prefer texts in print so that they can annotate, bookmark, and read wherever they like. There is also value in the tactile nature of print which some people still prefer. I presume the printing and setting the price of printed texts will be coordinated by the institutions’ bookstores. BC Campus and Camosun organized a fantastic panel discussion included instructors, administrators, representatives from the bookstore, library and a student. Each brought their own perspective to the open textbook initiative which was highly thoughtful. Instructors for the most part appear interested in the project and the cost savings that can cascade down to students. They are of course wary of the quality of the resulting texts. Form my own experience I believe that instructors will also be looking for the accompanying resources which often come with publisher texts providing them with banks of test questions, exercises, case studies or other elearning material. There was no plan to develop these resources as a part of the open textbook project, however given the nature of the license the possibility for the community to build resources atop the resources is entirely possible. An interesting perspective raised by administrators and the bookstore was the potential income lost from reduced textbook sales. Typically the bookstore does provide the institution with a significant source of income via textbook sales. Of course a great deal of this income does actually go back to the publisher at great cost to the student. So the offering of free open textbooks will disrupt the current business model of the bookstore. Naturally students are excited about the open textbook project and the fact that they can potentially save thousands by not having to purchase textbooks. Our student representative was entering his forth year and was only upset that this initiative was getting off the ground in his forth year! 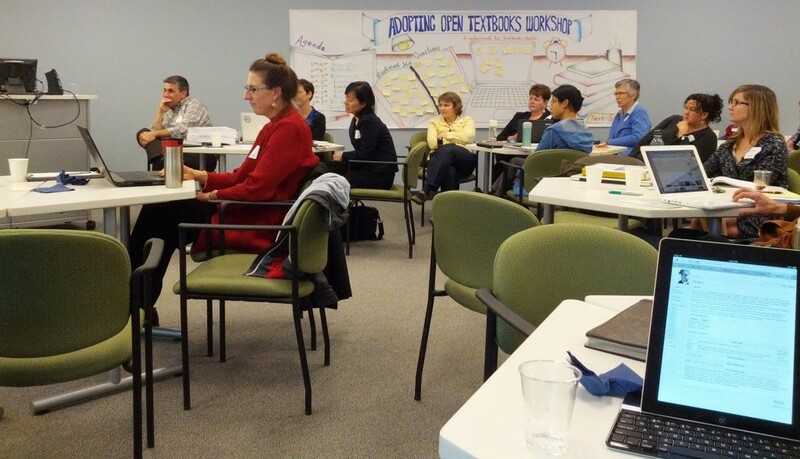 All in all it was a very worthwhile day of discussion around the open textbook project. I am excited to see the progress BC Campus is making with the texts as well as the conversations they are getting started at the various institutions’. For those interested in getting involved with the open textbook project or learning more, see the BC Campus project website. Adopting Open Textbooks Workshop by Michael Paskevicius is licensed under a Creative Commons Attribution 4.0 International License.